How did you spend your Friday night? I’ll tell you how I spent mine. At an opera. WHACHA. Bet you didn’t see that one coming! Except for the fact that there’s a picture of my opera program right up there. Yeah… But anyway, I went to go see La Traviata and it actually was better than I thought it was going to be. Granted, I went into it with the lowest expectations on the planet and I expected to be bored the entire time. But it wasn’t too long (2 1/2 hours), the singers had amazing voices, and there were English subtitles :) Oh I’m sorry, my 11 year old sister just corrected me. They’re called “supertitles”. Supra above, sub under. Silly me! *eyeroll* But the best part was that while they were running through the aisles during the performance (I’m still not sure why…) one of the…larger singers… got stuck in between my sister’s chair and the wall which made her laugh hysterically. Of course I got stuck next to the lady with the mask over her face, so the whole time I was thinking “Oh great, what deadly toxin is she emitting that I’m breathing in right now?”. Oh yeah, and then I’m pretty sure the old lady behind me almost died. She was dizzy and loudly announcing “I’M FINE, I’M FINE!” to everyone around her. If she had died on me, that soooo would have ruined my night. I got back in the groove of Italian food tonight. 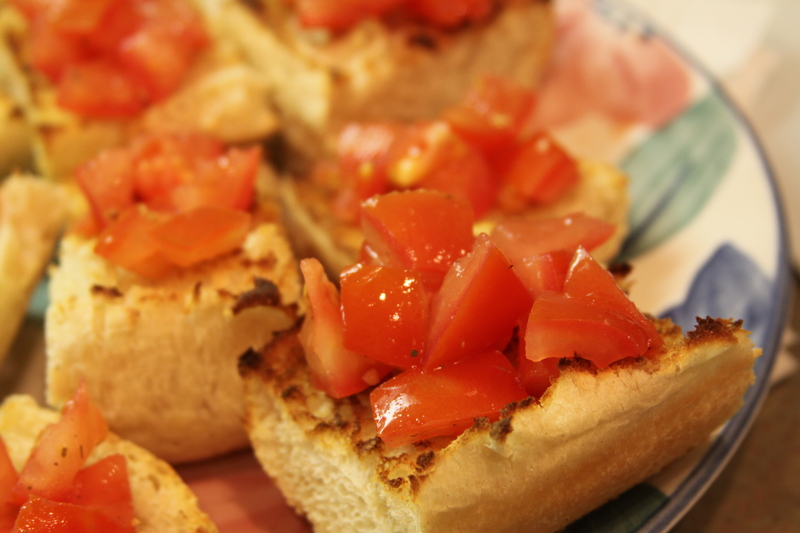 I made tomato bruschetta which, of course, decided to not turn out on me. The bread decided to burn even though I had it in the oven for less than a minute. And the tomatoes tasted weird. But other than that-lovely! 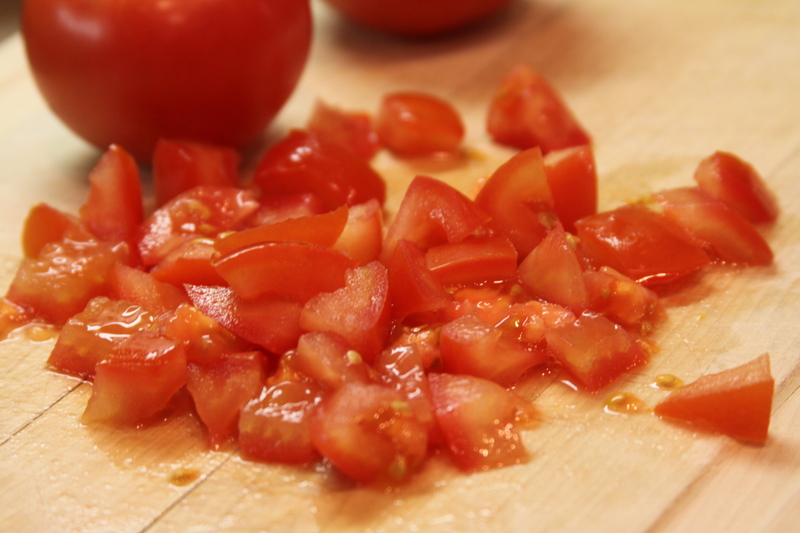 ;) If you ever make this, I’d recommend slicing the tomatoes in half, scooping out the seeds and then putting salt on it. It helps dry out the tomatoes so it doesn’t turn your bread to mush. Get ready for some super awesome foods coming up this week. There will be pesto, cod, and of course, flourless cakes! Random Italian (or not) Foods, the movie. Coming to a computer screen near you. ← Cheesecake Factory mac and cheese. Kinda. I sat home eating chips. Really, how can anyone top that? Thanks also for the tomato trick, which I will keep in mind during my next foray into cooking and the recipe calls for the fruit named tomato. 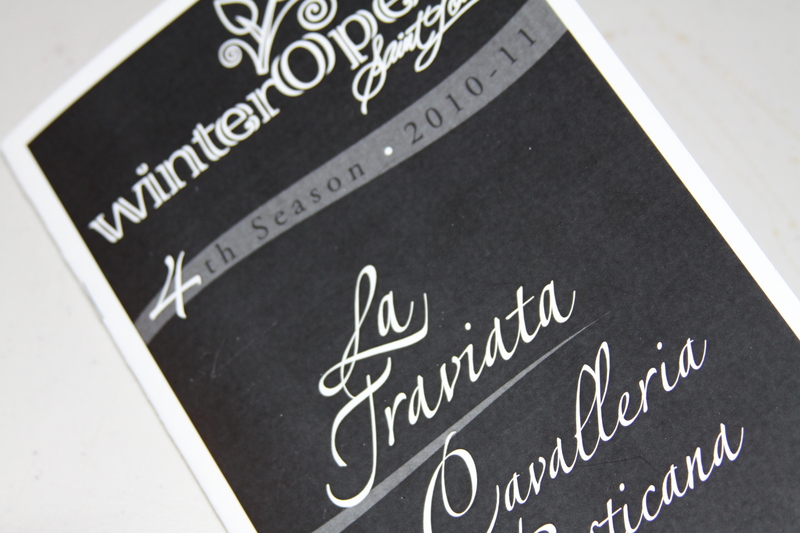 One of the few operas that I ever attended was during my days as a student at the University of Minnesota. (We know that academically, Harvard is the Minnesota of the East.) Anyway, I really enjoyed this opera because it was sung in ENGLISH!!! I do not know what nationality Martha was, but she was probably not English. So it must have been a translation. I look forward to a week of very interesting entrees. I will probably regret that I live so far away. I really like your blog too. Good luck raising money for your trip back to China! I miss you!!! I have not seen you in so many years! Thanks for checking out my blog! I can’t wait to go! !